Revered in Slovenia as an essential modernist figure and a formative avant-garde poet, Srečko Kosovel died in 1926 at the young age of twenty-two. A prolific writer, it is said that Kosovel wrote over a thousand poems, although few of those poems were published during his lifetime. 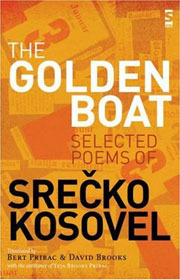 Often called the Slovenian Rimbaud, comparisons are also made to Rilke and Lorca, and Kosovel deserves a place among these men—as can be seen in The Golden Boat, the most comprehensive selection of Kosovel’s poetry available outside of the Slovenian language. and all is silent in the wood. You can feel the tulips bleeding. I could weep but I am not allowed. breaking and killing our dreams. as if they were damned. calling for salvation. . .
as far as I can think. A big job awaits me. As we see in “Autumn Quiet,” cultural place and self-knowledge are interrelated; for Kosovel, they must be elucidated in tandem. Along with the informative postscript notes found throughout these selections, we are given access to Kosovel’s highly attuned emotional and intellectual sensibilities as he defines his political, cultural, and spiritual existence. 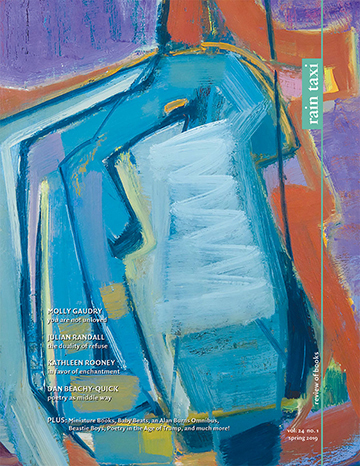 Kosovel’s poems are intoxicatingly honest, and the skillfully cadenced translations that comprise The Golden Boat allow us the opportunity to experience the tender curiosities and melancholies of a poet who was not given much time to understand his place in the world. These lucid meditations show us Kosovel’s intense appreciation for the natural surroundings of his native Karst region. We also find in these poems the sincere longing for quietude, which is not to say utopia; utopia would be too forthright. Beyond the compelling emotional ferocity of the young poet, there is a vulnerable tone in these poems, and that tone conveys a young man’s yearning for peace, not bliss. The Golden Boat illuminates that difference.